No. 1 US. Manufactured for the US oil drilling market in conformity with the tensile strength requisites of U.S. Federal Specification TR-605B, Type M, Class 1, Amendment 3. This rope has a Becker value of 36 minimum. Tested under supervision of Lloyd’s Register of Shipping; meets Federal Specification TR-605B, Type M, Class 1, Amendment 3. Certificate issued on all shipments before shipped from the Philippines. OilPatch Manila Rope is available in either 3-strand or 4-strand. Based on Federal Spec. TR-605B Amendment 3. 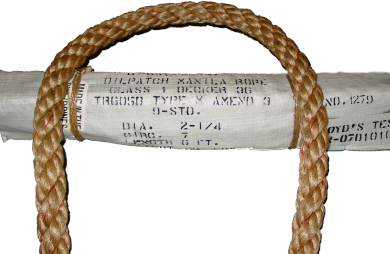 Manila Rope 4-strand is 7% heavier and breaking test is 5% less than it is for 3-strand. OilPatch Manila rope has a recommended working load of 20% of breaking test. These natural ropes are manufactured from selected high and medium grade fibers. They suit the demands of the oil industry, shipping, construction, agriculture, and in the manufacture of bio-plastics. Class 1 Manila is a high grade general purpose rope best suited for jobs where economy, strength, and durability are necessary. It has great resistance from mildew and agricultural deterioration. 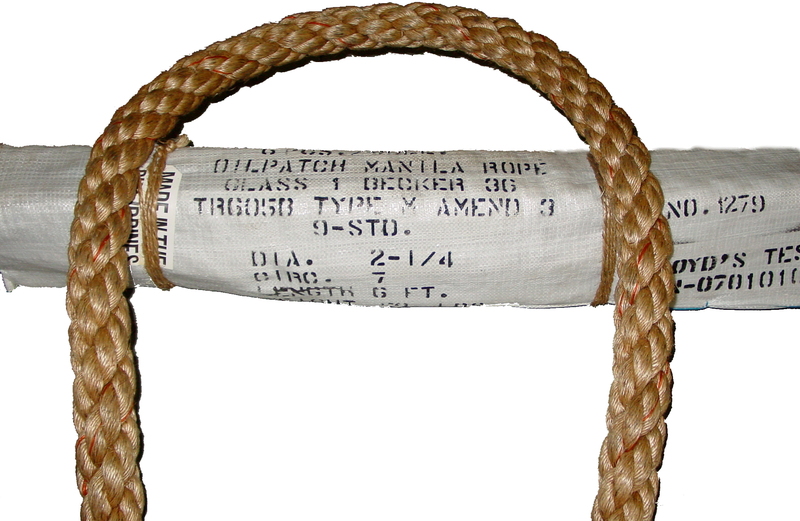 Manila rope is the strongest natural fiber rope in the world.